We arrived in Presque Isle and got a few drinks and a pizza at Sky View Lodge. After leaving Sky View we decided to try a different trail for the ride back to White Pine. 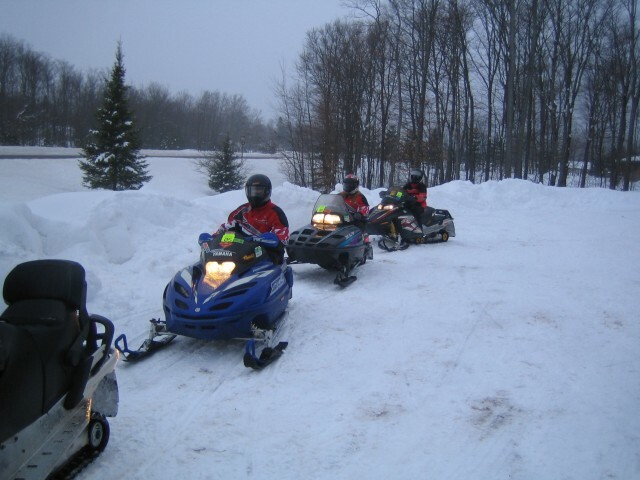 We headed west and hooked up with trail 11 north towards Wakefield MI. This trail was in great shape and had some great scenery. Along side a road we saw a wolf or coyote feasting on some road kill. We also saw several Bald Eagles along this trail. We ended up going to Bingos in Wakefield to gas up and get a few snacks. After leaving Bingos we headed East on trail 8 to Bergland and then trail 1 north to White Pine. Trail 8 was pretty beat due to all of the weekend traffic, but trail 1 was still in fair condition. This was a great trip and won’t soon be forgotten! Posted in Trail Reports | Comments Off on Whoa! A Heat Wave! It seems like every time I make a trip to White Pine we are rewarded with more fresh powder! We awoke to around 8 inches to a foot of fresh powder in some areas. The only downside to today is the extremely frigid temperatures! 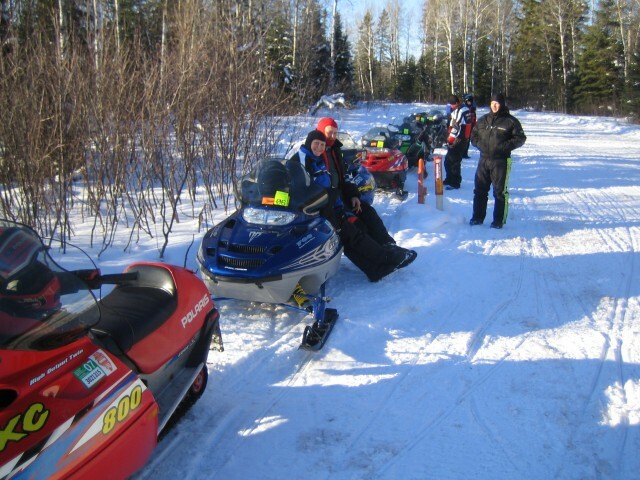 All of the sleds started with no problem, but once we headed down the trail we were all a bit chilled. We rode trail 1 north to Silver City and got breakfast at The Foothills. It was a popular place today, because everyone was looking for somewhere to warm up. After breakfast we decided to make our way up to Lake of the Clouds. The ride up there was really smooth and the trail was in excellent shape. 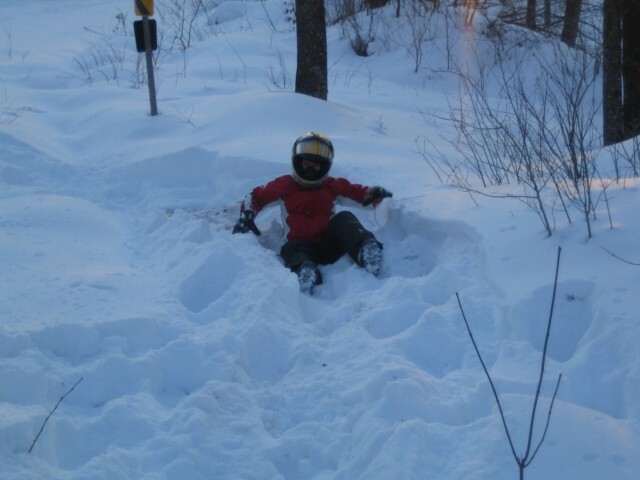 I just started to get warm on my sled when we reached the top. Then we all climbed up the hill to check out the view. On the way down all of us were pretty chilled so we decided to head back to Porcupine Lodge. 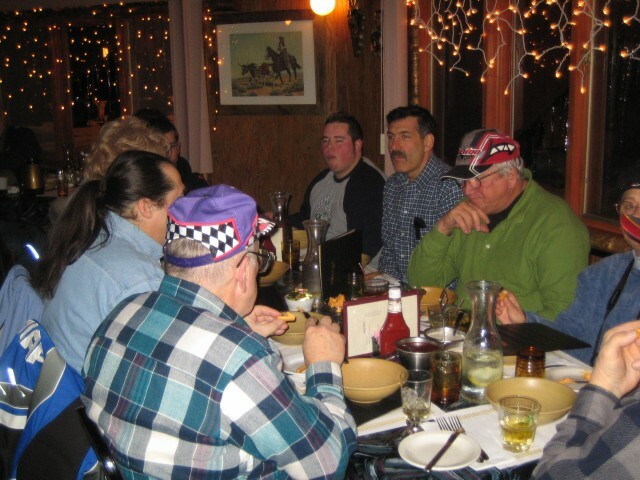 After getting back to the lodge and warming up we decided to eat dinner at the Root Cellar and then head over to the casino for some fun. We won a few bucks there and our friends wanted to check out the Paulding light. We stopped by there for a while and then headed back to the lodge. 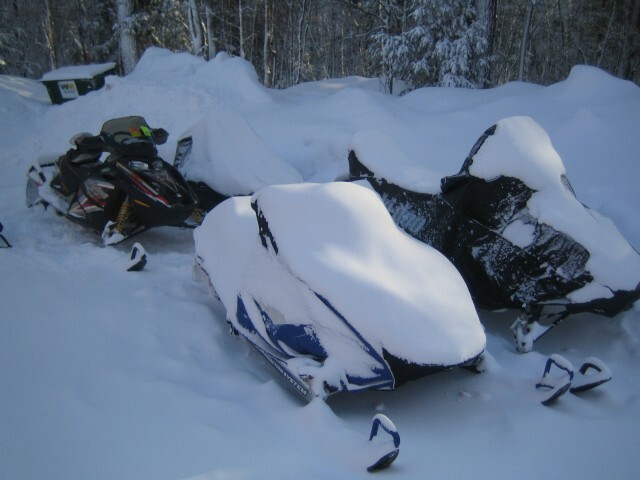 Posted in Trail Reports | Comments Off on Ahhhhhh More Fresh Powder! We rolled out of town headed north again! 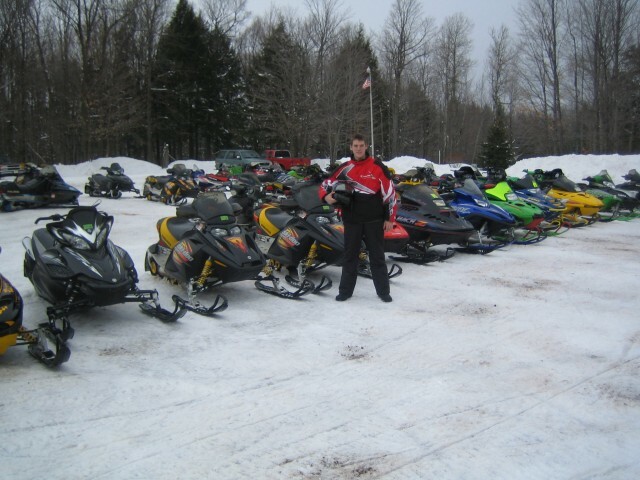 Our destination once again was Porcupine Lodge located in White Pine Michigan. Last week I bought a cabin and if I hadn’t, I was keeping this place as my little secret! Now the secret is out! If you are ever looking for a great place to stay with tons of snow, then this is it! They have ample parking with 6 units on the property. The new owners have done a lot of work to this place and it looks great! The rooms have one bedroom with a king bed, the other bed room has two full size beds and the couch in the living room pulls out. There is also a sauna and one of my favorite amenities is the high speed wireless Internet! Just because you are riding the trails all day doesn’t mean you can’t check your email when you get back! 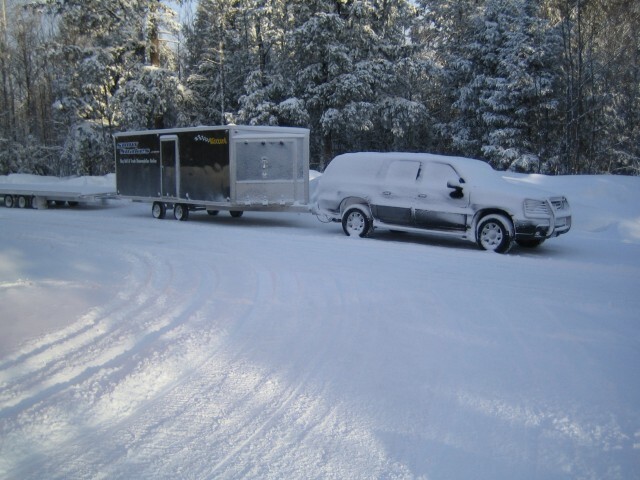 After we arrived we unpacked the truck and unloaded the sleds. 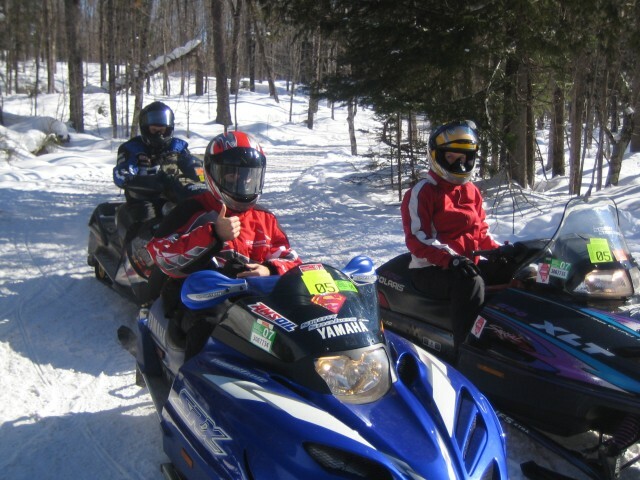 We had our friends along from South Carolina and they are pretty new to snowmobiling so we decided to break them in nice and easy. They were in for quite a shock because when they left SC it was 70 degrees. When we arrived the wind chill was -45! Only a 115 degree difference! We rode to the gas station and topped off, then ate dinner at Konteka. After dinner we headed to bed so we could get an early start tomorrow. Posted in Trail Reports | Comments Off on Headed North Again! After yesterdays mishap we all convinced our new rider that the best thing to do after falling off “a horse” is to get right back on again. We went on some flat and straight trails today, rather than the windy wooded trails we rode yesterday. It worked out really well and they did great! We rode trail 3 north to Watersmeet and then took trail 2 east to trail 107 and headed north. 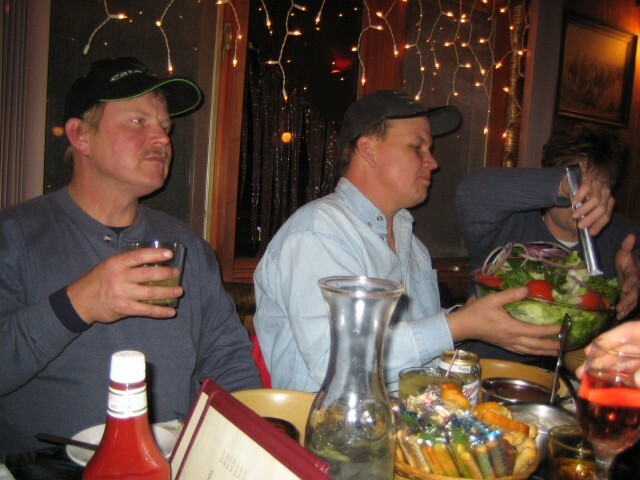 We arrived in Kenton, MI and had lunch at UP Chucks. The food was excellent and so was the service. Be sure to try their Soft Pizza Pretzel! The trails are still in awesome shape and we passed a groomer on the way to Kenton. After arriving back at the lodge we had our club dinner. Everyone had a great time! We got an early start again today and headed towards Phelps. On the way there one of the new riders had a small mishap and went off the trail. We decided to call it a day and rode back to the lodge. In the evening we went to visit the famous “Paul Ding Light”. It’s a popular place for people to visit and you are sure to run into plenty of people if you make it up there. While we were there, we ran into a film crew that was shooting a documentary of the local area. It made for an interesting night. Today was a slightly longer ride than yesterday. We hit trail 5 and headed west around 9am. We arrived in Presque Isle around 10:30am and got breakfast at the Outpost Cafe. It is a nice place to get some good food along the way. If you like your meal made custom, this isn’t the place for you! It clearly says on their menu, NO SUBSTITUTIONS OR CHANGES. I find this kind of funny, because the whole reason I go to a restaurant is so I can have it MY WAY, not their way! 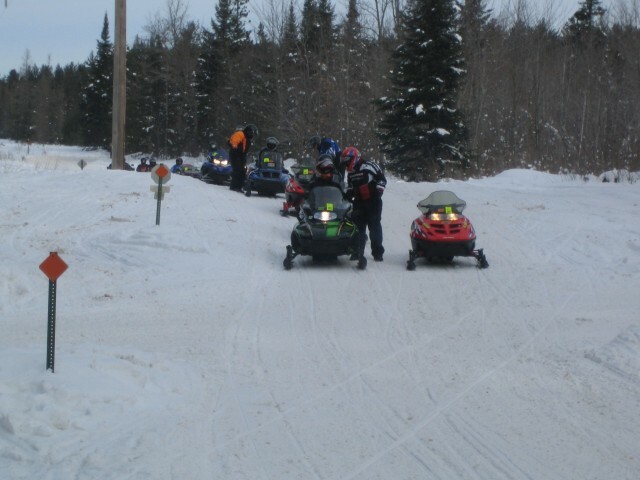 Any ways….. After fueling up we headed north on trail 1 to trail 2 into Marinesco. 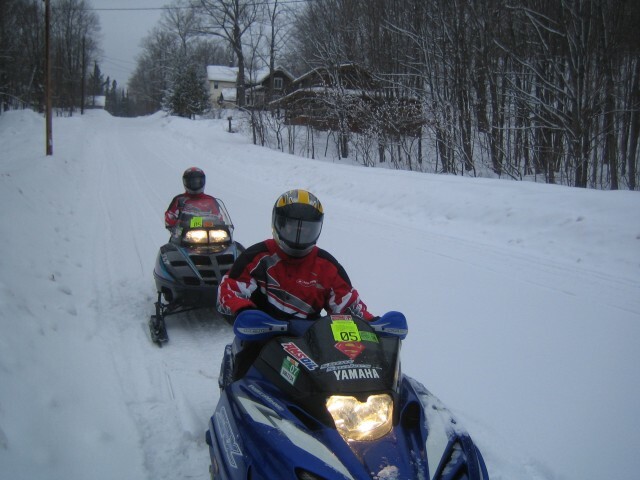 From there we took trail 1 to trail 100 and got on lake Gogebic at the bridge. We rode up to the Fisherman and then cut across to the Root Cellar. After a couple drinks at the Root Cellar we headed south on trail 13 then to trail 2 into Watersmeet. From there we took trail 3 back to Land O Lakes. All trails were in excellent shape and freshly groomed! We took it easy today and rode 70 miles. We took trail 3 north from Land O Lakes Wisconsin to Watersmeet Michigan. Then we rode trail 2 west to Rogers bar. We had a Pizza and then made our way south across the Cisco chain and then took trail 5 back to Land O Lakes. We have a longer trip planned tomorrow. Today they wanted to put on a few more miles so our goal was to ride more than the 129 we did yesterday. We started off early in the morning by heading to Lake of the Clouds. 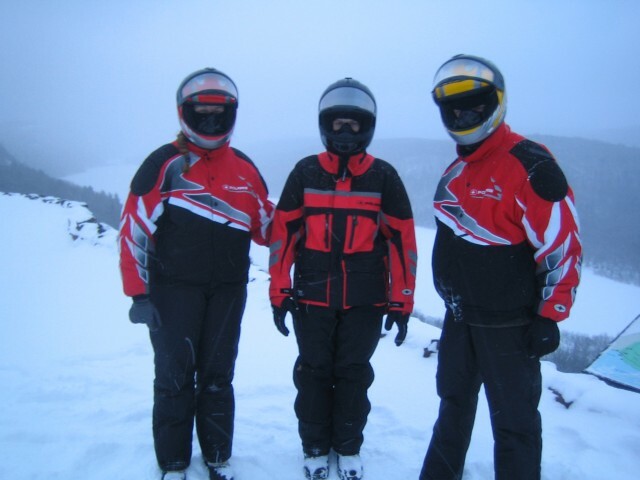 We were the first sleds up the hill and took a few pictures at the overlook. After that we grabbed some breakfast at the Foothills. Then we rode down trail 11 and then 102 into Bergland. We got gas in town and then headed north on trail 1 to White Pine. After a quick stop back at the room we decided to make a run to Henrys in Rockland. We rode over there and back and ended up with 159 miles for the day. All of the trails were in great shape other than trail 13 into Rockland. Showing the newbies around the U.P. 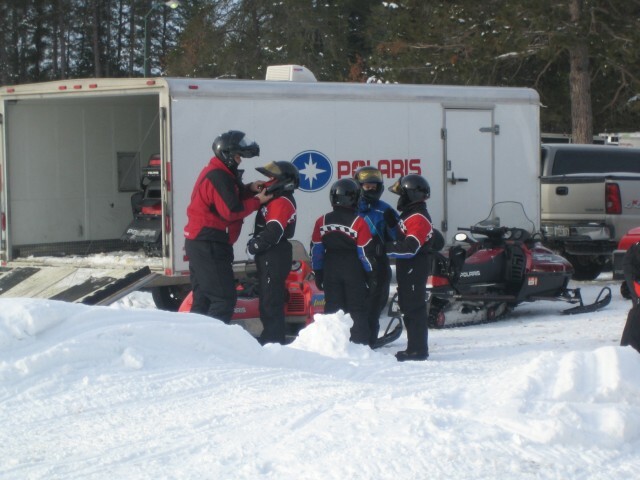 We rolled out of the Porcupine Lodge around 10am and headed for Bergland. We rode trail 1 down there and jumped on the lake to the Root Cellar. After stopping there we rode trail 13 and trail 2 on our way to Rogers bar. 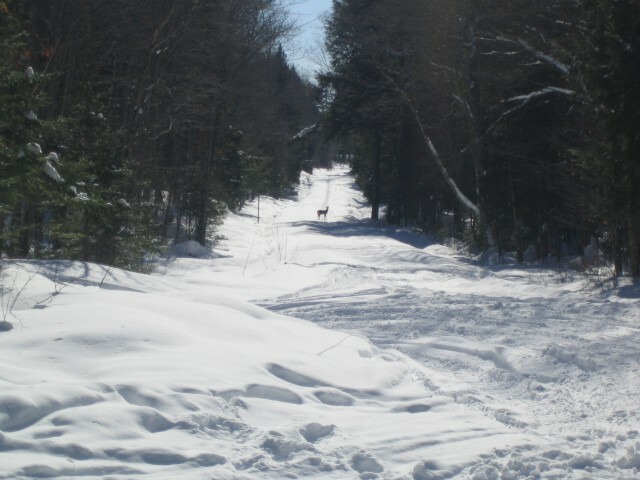 We had a few sodas and then hit the trails back towards White Pine. The trails were great all day long. 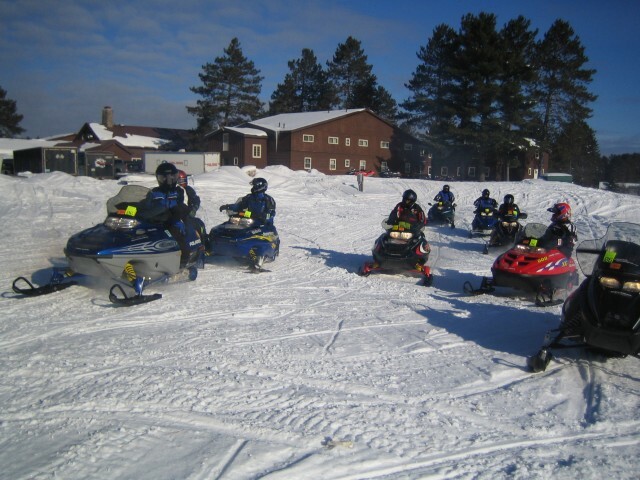 Our newbie riders did great and rode safely all day long. We got back to the Porcupine Lodge around 8pm. 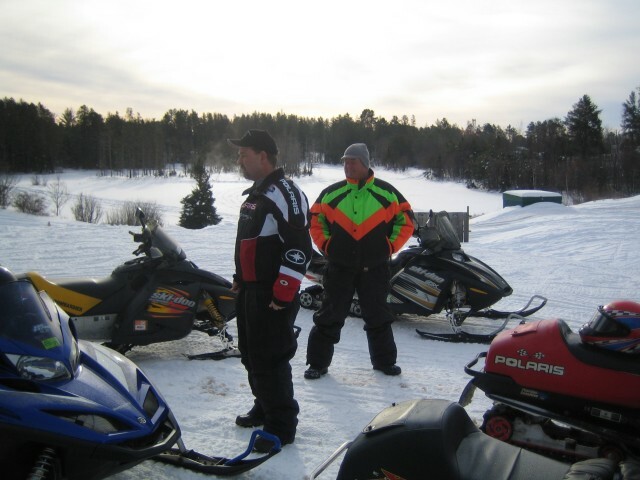 Posted in Trail Reports | Comments Off on Showing the newbies around the U.P. 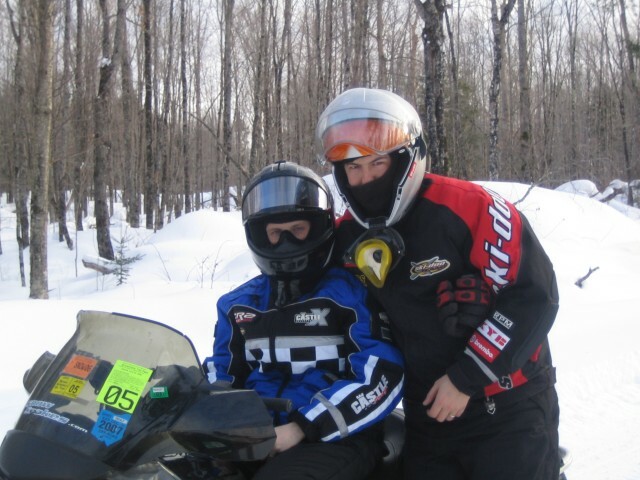 You are currently browsing the Snowmobile Trail Conditions blog archives for February, 2006.